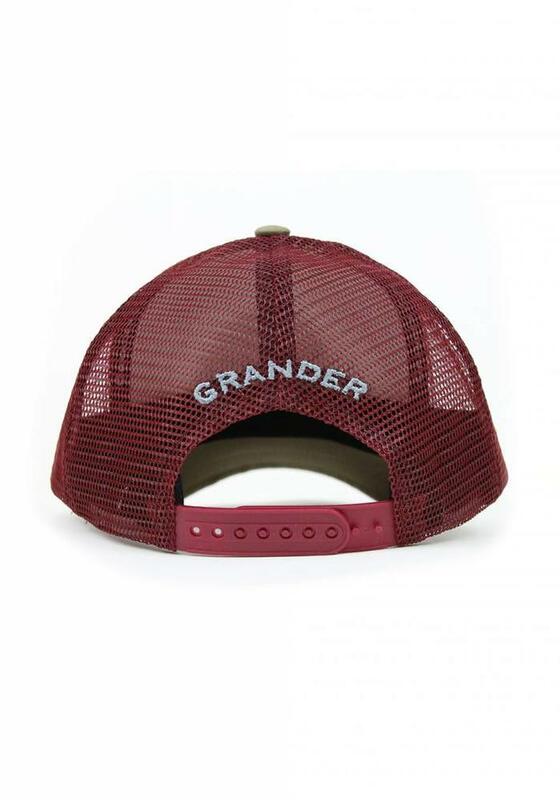 Burgundy with beige trucker cap from the popular and upcoming brand Grander from the Netherlands. According to Grander itself designed for enterprising types that are just a little faster than the rest. 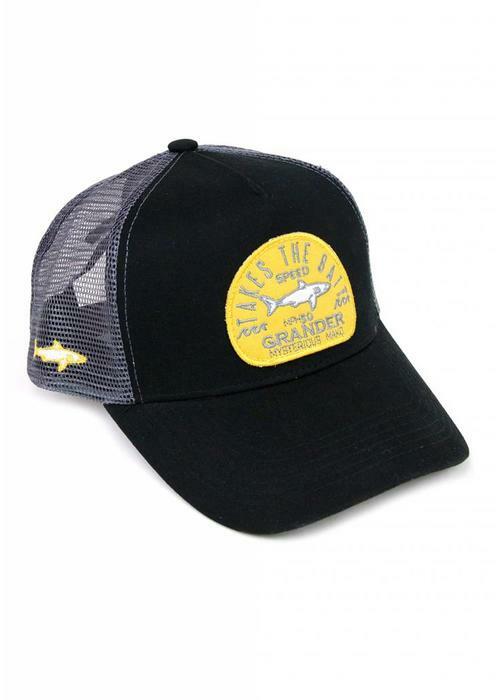 The mascot of the brand is the Mako shark which is also known as the Grander shark. 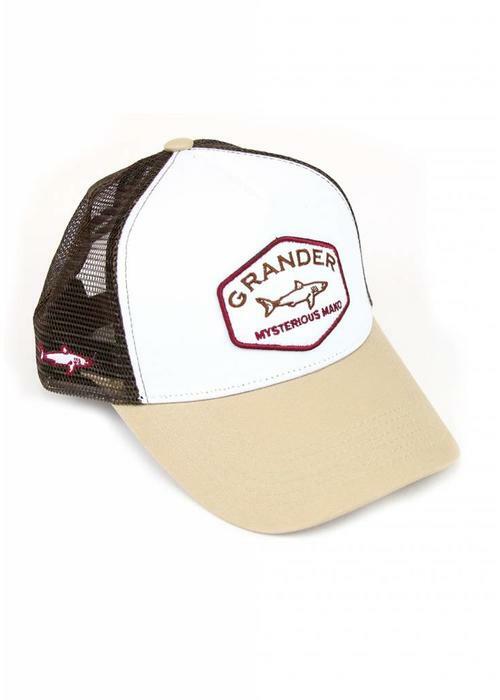 The Grander is the fastest shark in the world and even jumps far out of the water to catch its prey! When he is not hunting, the Mako shark pulls back to the deepest parts of the sea ... hence the nickname 'Mysterious Mako'. The Grander cap is adjustable at the back. 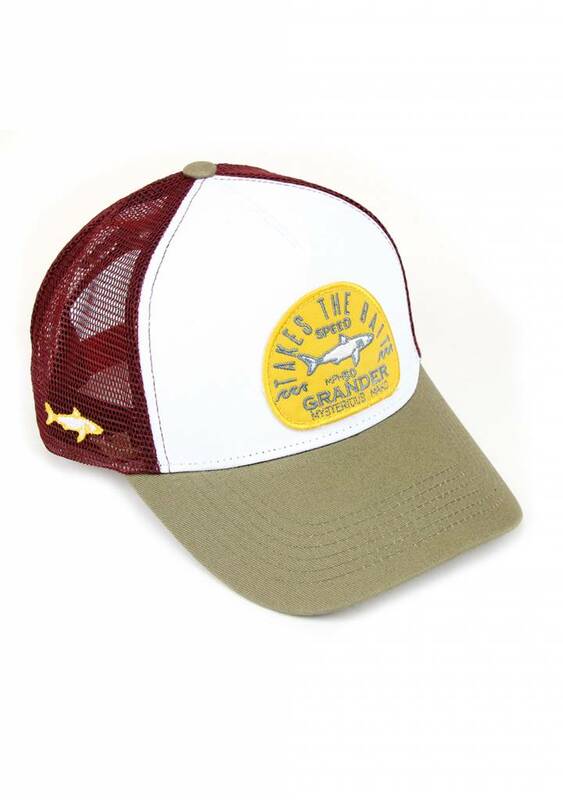 Available in four different colors.